How hot do you like your games? Scoville has you covered. The town of Scoville has hired you to grow the hottest peppers possible - Bid on turn order, plant, breed, and harvest peppers in order to sell them to the local demand, create new recipes, and win awards from City Hall with the hottest of all possible peppers. The Scoville pepper field is shared between all players, turning positioning into a key part of the game - and players can harvest and crossbreed their peppers in order to create new, hotter varieties. 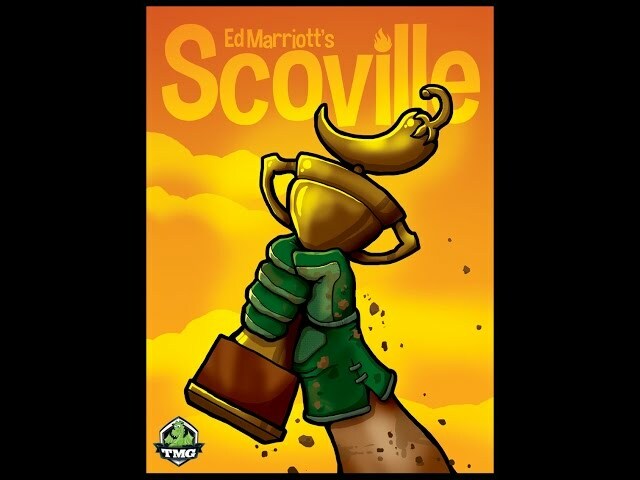 Buy Scoville if you’re looking for a game that requires you to maximize efficiency, placement, and a fun, peppery theme.